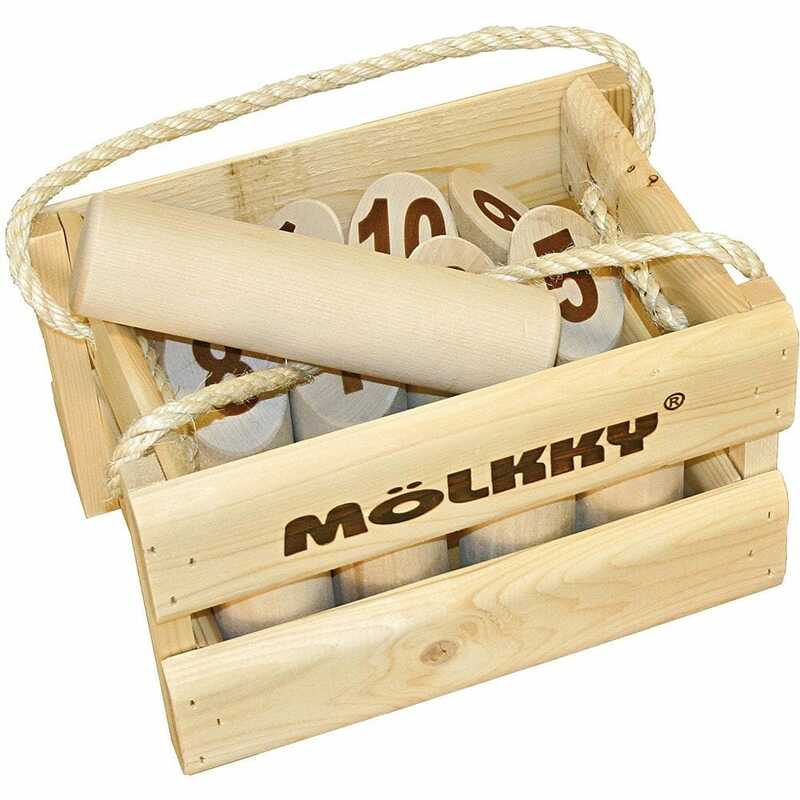 Molkky is an outdoor skittles game in which success is based on a combination of chance and throwing accuracy. All you need is a garden, park, or a village green a few friends or family and a set of Molkky Pins. The first player to knock down 50 points worth of wooden pins wins the game! The Mölkky game is originally from Päijänne in Southern Finland where it has been played for centuries and it is the most popular outdoor game in the Nordic countries and it is gathering momentum all over the world! Contents: 12 wooden numbered pins, 1 throwing pin and rules. all in a wooden crate box.